Hiiii! Hope you’ve all had a good week so far. We had booked to go to Switzerland next weekend but have just postponed it to the end of February when Anoushka is over three months old. I think her hospital visit in December shook me a little and it just didn’t feel right going on a plane when she is still so tiny. We travelled all over with Mila when she was small – Finland, Ibiza, Mauritius, St Moritz. She was 8 weeks old when she went on her first holiday. But she was a summer baby and she was never ill. So I never really worried. The mountains aren’t going anywhere so I figured why not wait a little longer. Coats, Jackets, Salopettes and All-in-ones: as mentioned there are so many amazing brands now that do skiwear. Fendi is amazing if you want to really splurge especially the all-in-one but a brand like Perfect Moment offers perfect mid-price outfits that are super on trend too. Shop my favourite pieces below. Snow Boots: There are SO many to choose from. I have Isabel Marant boots as well as about 5 pairs of Moonboots as I buy one new colour every year (they are definitely the warmest and quite well-priced but they are quite chunky so you don’t want to wear them in the evening.) I also LOVE Inuikii – got a pair last year and they are SO warm. Shop my favourites below. Knits: This is a must. If its sunny when you go skiing and you stop off for lunch or a drink post-skiing then you can usually take your coat off and hang out in your knit. 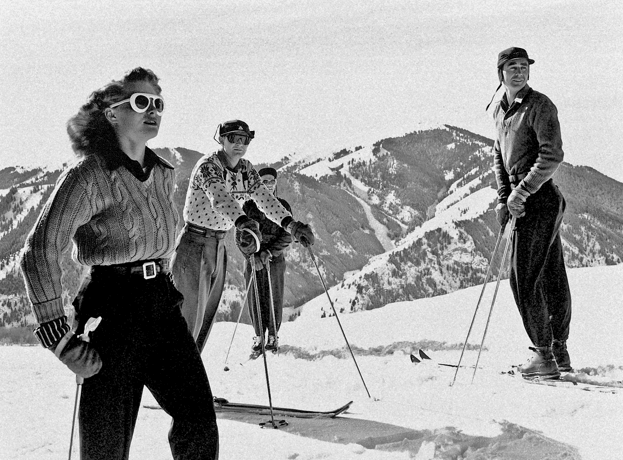 Or if you don’t plan on actually skiing then its all about a knit and big coat. Shop my favourites below. Accessories: I am all about accessories every day and its no different when it comes to a ski holiday. I might leave the statement earrings at home but I love big sunglasses, headbands and hats. Shop my top picks below. The Fashion Bug Blog was created by Laura Wills in early 2015 as a way to express herself both through her writing and her personal style. Her husband calls her Bug and that's where the name comes from. The blog focuses on fashion, travel and more recently family as Laura became a mother to Mila in the summer of 2016 and is due with her second girl at the end of this year.